Short stories about a humble shop on a floating city. The message, carved directly onto the door of a thin shack squeezed amongst Skymoore’s government district, was an inauspicious beginning to Alice Plunderton’s reintegration into the community. The Parent-Teacher Association could at times be a tense space, but it was typically a pleasant one. And a well-lit one. With paper. Still, at the beginning of Autumn an evil sorcerer tried to send her entire neighborhood into a dark portal and nearly succeeded. If Alice could make it through that, she could handle some dim lighting. She felt along the wall as made her way down the stairs placed immediately within the shack. As the building widened and flattened at the bottom, she began to feel a bit lost at sea, with nothing to hold on to, in almost pitch darkness. Alice was grateful to be a halfling then, as it was at least unlikely she would hit her head. Dim light came at last, a single candle on the wall which illuminated a banner bearing the familiar chain-link insignia of Pulldrid’s Academy. An arrow guided her to the right, and only then did she realize she was now in a more modern building, with painted walls and numbered doors. Some more fumbling through the darkness brought Alice into a spacious conference room, lit sparsely by lanterns, candles, orbs, and the luminescent skin of Blorp the Glow Frog. Participants were taking their seats at various long tables; against the back wall, an inscrutable chalkboard displayed the day’s agenda. A black curtain was drawn over one of the corners of the room – Alice averted her gaze immediately, remembering just in time that The Cabal watched over these meetings, and that their presence was not to be acknowledged or even implied. Alice recognized several teachers she did not especially care for, and the first friendly face she saw was an unexpected one, that of Habit Weisman, who drove the bus coach that transported people around the Mish Mash. He looked elated to see her. One person clapped, another coughed awkwardly, as the sentient jelly cube who ran Skymoore’s only semi-reputable bank took the stage. A string of Severance Day lights floated in its gelatinous form. Paris reclaimed their podium as Jerun squelched back to its seat. “Thank you, Jerun! Informative as always. We can always count on you for financial advice and spiritual guidance. Now, one more quick matter; actually quick, this time. After years of absence, today we are rejoined by the lovely Alice Plunderton. Mrs. Plunderton, why don’t you reintroduce yourself? When Alice returned to the single room subterranean emergency housing unit she now shared with her daughter, Karessa was strumming absentmindedly on the guitar she was half-heartedly trying to learn. “Mom, I’m not even really playing,” Karessa said. Some variant of this comprised most of their conversations. After Alice spent a significant length of time sitting in their bed, not really looking at the book she was ostensibly reading, Karessa tried again. Karessa didn’t really play, and Alice didn’t really read, until the two of them didn’t really go to sleep. 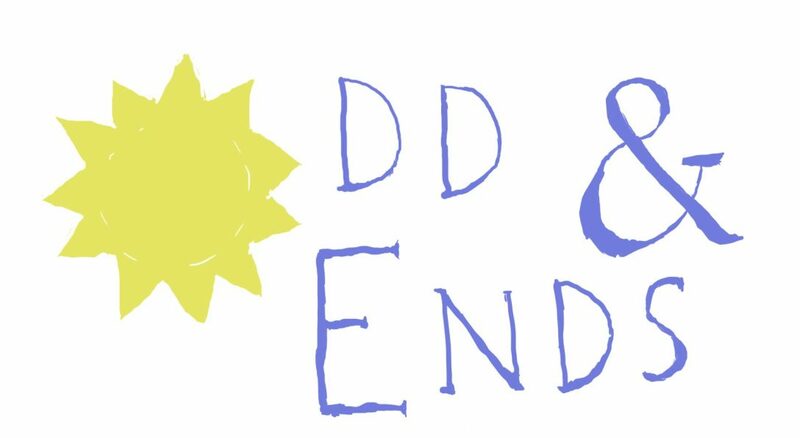 Like Odd & Ends? Leave a nice rating or review at Web Fiction Guide and check us out on Tapastic or on the Tapas app, where episodes go up a week earlier! Previous Post Welcome, New Readers!